Chinese sci-fi masterpiece the Three Body trilogy has hit a new record for e-book sales, showing its worldwide popularity. A ranking list recently released by Amazon China showed that a Chinese version of the Three Body trilogy published by Chongqing Publishing House in 2012 ranked as the best selling Chinese e-book in its Kindle Store over the past 5 years. The Chinese version of the trilogy was the second most popular paid e-book in Shanghai the first half of 2018, following the Chinese translation of Somerset Maugham’s “The Moon and Sixpence,” published by Zhejiang Literature and Art Publishing House in 2017. Written by Chinese sci-fi writer Liu Cixin, the Three Body trilogy, comprising “The Three-Body Problem,” “The Dark Forest” and “Death’s End,” depicts the human race’s contact and conflict with alien civilizations. 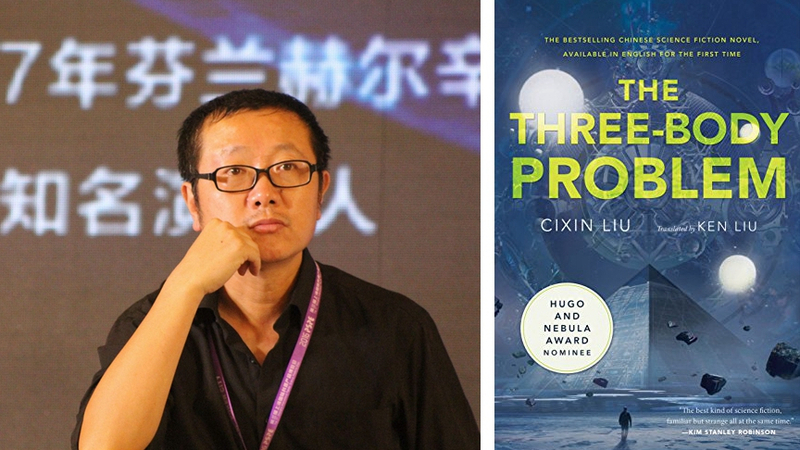 “The Three-Body Problem” won the 2015 Hugo Award for Best Novel. The printed version of the trilogy in Chinese had sold more than 7 million copies by the end of 2017 and has been translated into more than 10 languages including English, Spanish and German, according to China Educational Publications Import and Export Corporation Ltd. The company also said that the trilogy’s English e-book version had sold more than 200,000 copies so far.